This post follows on from Part I to look at long-term and geographically dispersed Australian maritime strategies. In East Asian regional security analyses, emphasis is often placed on the Malacca Strait between Malaysia and Indonesia as the main choke point for maritime traffic, and with an estimated 60 000 ships passing through the Strait annually, this is certainly warranted. 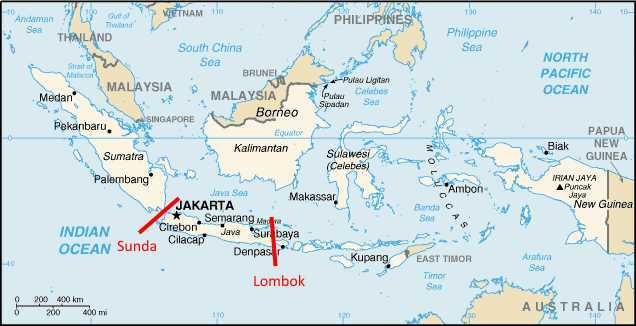 However, from Australia’s point of view, and with the themes of these blog pieces in mind, it can be postulated that the Sunda and Lombok Straits, respectively on the west and east sides of Java, are of a more pressing importance. The importance of these Indonesian Straits to maritime commerce becomes apparent when one considering the increasing demand for Middle Eastern oil in East Asia, and in particular China, which became the world’s largest importer of oil as of 2013. However, tankers larger than 222 000 DWT transiting from the Persian Gulf to the South China Sea must divert through the Lombok Strait, rather than the more direct Malacca route. The potential problems associated with this become evident when considering the troubles with piracy in the Indonesian archipelago as outlined above. Logically an increase in maritime traffic presents more ships for pirates to target. This is clearly a matter of serious concern for all East Asian states whose prosperity hinges on imports and exports flowing freely across the seas. However, in order to address the issue of this blog post, the following discussion will focus on China as Australia’s principal concern. Chinese investment in Australia is huge, particularly in the mining sector. Between 2002 and 2010, Chinese companies – mostly state-backed – invested in 34 iron ore and coking coal projects amounting to over AUS$27.25 billion. While this has received a frosty welcome in Australian politics, these resources are vital to Chinese industry whose demand is not being met by domestic reserves. Economically it makes sense for Australia to embrace these investments as a means of securing exports. Furthermore, with demand from other trade partners declining, the rise of China presents opportunities for Australia to capitalise on its vast mineral deposits. This is significant from a maritime perspective as the mined resources have to be transported to China by sea along routes which pass through the Sunda or Lombok Straits. Given the importance of this shipping to Australia’s economy, it can be argued that measures should be taken to ensure the ships’ safe transit through dangerous waters. It has already been established that the inner arc falls within Australia’s sphere of interest and it should be extending its maritime influence in this area. One way to address both issues of ensuring safe transit and extending influence might be to consider escorting high-value shipping with naval assets. These would be provided by the Royal Australian Navy as ‘protection of shipping and trade is a defence function.’ In order to ensure safe passage through the Straits such escorts would have to operate beyond Australia’s 200 nautical mile exclusive zone, but the additional distance is not insurmountable. It would also entail operating in Indonesian territorial waters meaning that close understanding and cooperation is essential. The notion that Australia could protect international shipping lanes in the archipelago has been called unrealistic. However, selectively escorting high value ships (whether valuable by tonnage, cargo or for less material reasons) would be an effective way to be assertive and exercise influence. Escorting export ships through dangerous waters is therefore a further strategy Australia can employ to extend and enforce its maritime influence in the inner arc. The preceding sections have demonstrated the significant role Indonesia plays in Australia’s security and prosperity. As Cotton states, ‘Indonesia is the crucial nation when it comes to the success or failure of Australia’s attempts to “engage” with its immediate region.’ With regards to how far Australia should extend its maritime influence, it therefore seems a logical first step that this large, important neighbour is kept on friendly terms. This was demonstrated in the fallout from the recent spying allegations, which put a severe dent in the relationship when Indonesian President Susilo Bambang Yudhoyono suspended military cooperation between the two countries. Realising how vital the relationship between their two countries are, Australian Prime Minister Tony Abbott was quick in his attempt to restore it. The value of Australia’s northern neighbour directly addresses both themes of these blog entries. As has been explained, issues in the Indonesian archipelago pose both threats to facets of Australia’s economy, but also present opportunities to assert dominance. The starting point for Australian maritime influence is therefore to extend it to the country’s valuable northern neighbour. Having firmly established one area where Australia should pursue a strong maritime influence, it is now worth assessing how far this can be extended into regions that are less geographically proximate. Recalling the discussion above concerning how Australia can exercise power, these strategies are equally applicable to other maritime areas which are of further-reaching regional economic and security importance, but perhaps only indirectly important to Australia. The following paragraphs will discuss two approaches to maritime influence: humanitarian assistance and disaster relief operations, and the patrol boat programme. Each of these echoes the main strategies outlined above but is focused on areas beyond Australia’s immediate sphere on interest. Before exploring the strategies, however, there is merit in more closely refining which areas we are concerned with. In general terms, these areas are those which lie beyond the Sandison Line, which demarcates the point after which a ship travelling across the Indian or Pacific Oceans can only be heading for Australia or New Zealand. Rather than limit itself to extending influence to areas inside this line, it makes sense for Australia to reach out further and assert some manner of control in these internationally vital waters. 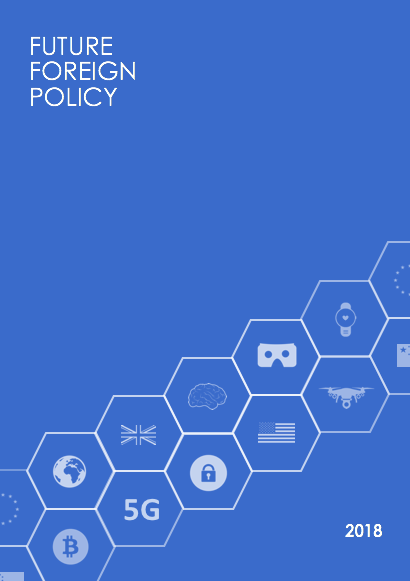 The reason for this, it can be argued, is not necessarily to have any fundamental impact on issues in these areas, but rather to be seen as an international actor that is willing to support its trade partners. A good rapport with its main partners – US, China and Japan – is integral to maintaining good relationships. Equally, a presence in far-flung areas puts Australia on the map for smaller nations as a nation that is more than a large island on the geographical and political periphery. With wider maritime engagement Australia can establish areas of influence beyond its immediate sphere of interest. The first strategy for implementing a wider area of maritime influence is through participation in multinational humanitarian assistance and disaster relief operations. In the past decade the entire East Asian region has been subject to a multitude of natural disasters including typhoons, earthquakes and tsunamis. These disasters are indiscriminate, blighting large wealthy states as well as small and poor ones. They key for Australia is to be equally indiscriminate in where it lends support. Two recent examples demonstrate the value of this principle. In the relief operations following the 2011 earthquake and tsunami in Japan, Australia was the only nation other than the US to provide enduring military support, deciding to send a C-17 transport plane within an hour of the earthquake. Success in this venture reflects investments made in trilateral Japan-Australia-US security relationships, and served to strengthen Australia’s standing with these partners. In the aftermath of Typhoon Haiyan which struck the Philippines in 2013, Australia has contributed AUS$30 million, medical personnel and HMAS Tobruk. Though the Philippines are not an ally of Australia, Prime Minister Abbott has stated that Australia does this ‘as a good friend and neighbour.’ The actions combined with the public reasoning serve to enhance Australia’s reputation both within the Philippines and in the international community. With greater reputation comes greater ability to build relationships and exert influence, so the examples demonstrate that value (beyond moral obligation) can be found in participating in disaster relief operations involving both close partners as well as nations who sit within a wider sphere of interest. The second strategy directly addresses the aforementioned problem of issues which lie outside the reach of Australian capabilities as a medium Power. Australia does not have the means to conduct frequent patrols far outside its coastal waters. It is, however, desirable to counter threats at their point of origin, rather than wait until they approach Australian territory. 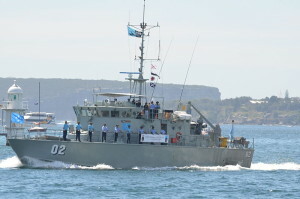 Realising the weakness of many Pacific Islands states in ensuring their own security; commencing in 1987 Australia gifted 22 patrol boats to 12 countries, which has been a ‘cornerstone of Australia’s strategic influence in the region.’ The patrol boat programme exemplifies Australia’s balanced approach to power projection in that it involves military hardware but serves the greater purpose of fostering relationships. The programme also directly addresses threats to Australia and this has been demonstrated recently in the extension of the programme westwards and the gifting of two boats to Sri Lanka. These have been donated to help Sri Lanka target people-smuggling, which is a grave concern to Australia and plays an important role in its domestic politics. The patrol boat programme is an ideal way for Australia to extend its maritime influence beyond its own capabilities. The boats function as Australian stamps on a region or issue, but incur none of the ongoing costs associates with hard power projection. Furthermore, given that the programme is due for renewal, it offers Australia the opportunity to shape its response to emerging threats. In this way vital influence can be maintained in regions which lie outside Australia’s immediate sphere of interest, but are nevertheless of strategic concern. It can be argued that the programme should be extended to regions further north to cover important shipping lanes in the South China Sea, and possibly as far as east Africa in order to counter piracy in the Gulf of Aden. Hill states that ‘the enormous extent of Australia’s coastline, its huge potential economic zone, the resources that are involved there, and the existence of vast human populations to the north and west, must mean Australia is a medium maritime Power whose area of security interest stretches far out seaward.’ [Italics in original] These blog entries have attempted to address all of these points and make recommendations about how far Australia should extend its maritime influence. It is impossible, however, to draw an explicit line which signifies such boundaries. Instead, by establishing what being a medium Power entails it has been possible to explore numerous strategies which can be employed to exercise influence. These strategies have then suggested areas – both geographic and policy-related – where Australia has an interest in extending its maritime influence. 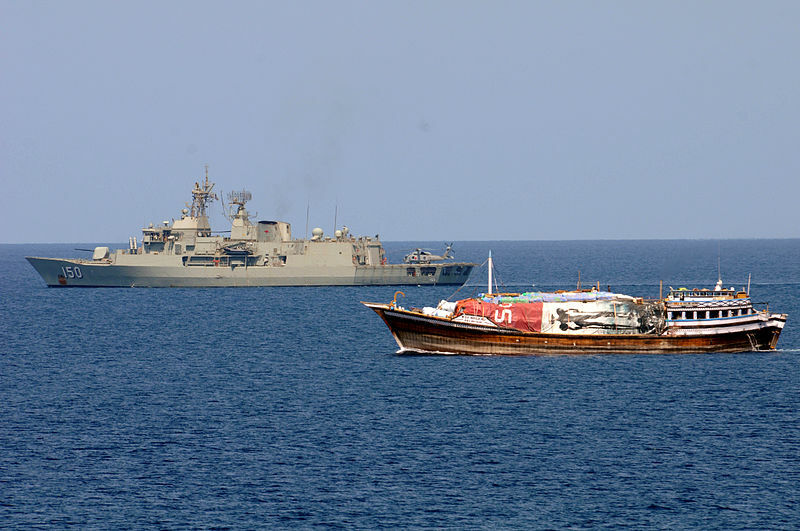 The importance of safeguarding trade is a key issue in Australia’s maritime sphere and protection from piracy in the Indonesian archipelago – which in itself is of utmost importance – shows that maritime influence must begin within Australia’s immediate sphere of interest. On the other hand, regional engagement through humanitarian operations and tackling threats before they reach Australian waters highlight that Australia has a significant role to play in oceans beyond its closest concerns. While there can be no numerical measurement of how far Australia should extend its maritime influence, it is clear that it needs to adopt strategies which conform to its status as a medium Power and allow it to address those issues with which it is concerned, whether this be in territorial waters or far-flung seas.